Colored Haired On Black Women= Ghetto & Ratchet? While on tumblr I saw a post with a picture of two young ladies with vibrant hair colors, one was black and the other caucasian. 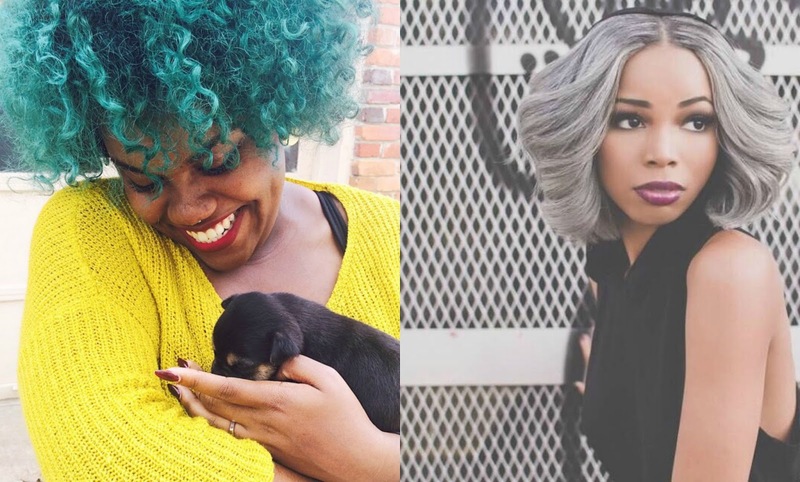 There was a debate going on under the picture, which focused on the fact that society can be harsh towards black women who choose to color their hair with bold colors. Yet, when it comes to other races, the hairstyle can be seen as "cool". Personally, I can't speak on this particular topic because my hair is just plain brown (even though I do want to color it soon). So what I decided to do was reach out to some young black women who have graced social media with their beautiful hair colors, to find out their thoughts and experiences. Was the decision to color your made because it was just something that you decided to do or is it more of your own personal self expression? Marie: For me it was both. I wanted to be unique and an individual, so when I began coloring my hair, especially natural black hair, it wasn't common. I also chose a color that uncommon, teal. I was determined to express my love of color at all times without being overbearing or tack, through my hair. Cheeno: I definitely colored my hair due to self expression. Being model of average height I wanted to be totally different from the competition, but now the grey hair is definitely more than my image. It me, I love it! What led you to choose the color that you currently have in? Marie: I usually go by color spectrum. So I have had blue/green/yellow, and now I've decided to be the sunset of orange/pink/purple. I can never have just one color. Cheeno: I chose this specific hair color because I am a model, but with ordinary hair I appear to be average. I wanted a major change that would set me apart. The "grey haired girl" has a certain ring to it. It is something I definitely feel like I coined as a strategic move on my behalf. What are your feelings towards the negativity that is often thrown at black with color in their hair, yet it is accepted towards other races? Marie: Well in my experience, people usually like it, they only that they themselves couldn't do it because they don't have the "look" or personality. I don't believe other races are always accepted when they color their hair neither. Either way it's a thing of commitment and being bold enough to be comfortable with your hair. Cheeno: I think that our race is somewhat scared to step out of the box. While other races with different cool hair tones are considered "rad", we are considered "ghetto". I always feel as though the hair color comes with a certain confidence. If you believe you are rocking it then who is anyone to tell you that you aren't. We definitely get slack but we will spoon pave the way and steer away from what I call "basic beliefs". To your knowledge has anyone ever criticized your hair color? Marie: When I first began, people didn't really believe that I would color it, and when I did, it was a bit of a shock. I find that the older the generation, the harder it is for them to get used to. Mostly I find that people like it, especially young people. Cheeno: I definitely believe that I receive tons of positive feedback, way more than negative. Typically older crowds don't understand the value of such an extreme color, but I will say that after the question "why would you do that to yourself, you're too pretty for that", after comes the comment, "well, at least you wear it well". What do you think your next color will be? Marie: I have a whole plan for my next colors, but it's a secret! Just know that it has a theme/scheme, lol. Cheeno: I'm not really sure what will be my next color but grey will always be incorporated in any of my color changes but any new additional colors will be a surprise, so stay tuned lol. When you first decided to color your hair, were you afraid of what others would think? Marie: I was excited to see reactions actually, I was not afraid because I knew regardless I would do it and everything is fixable, even if it came out terribly. Cheeno: No I wasn't afraid at all, I was super excited and anxious to color it. 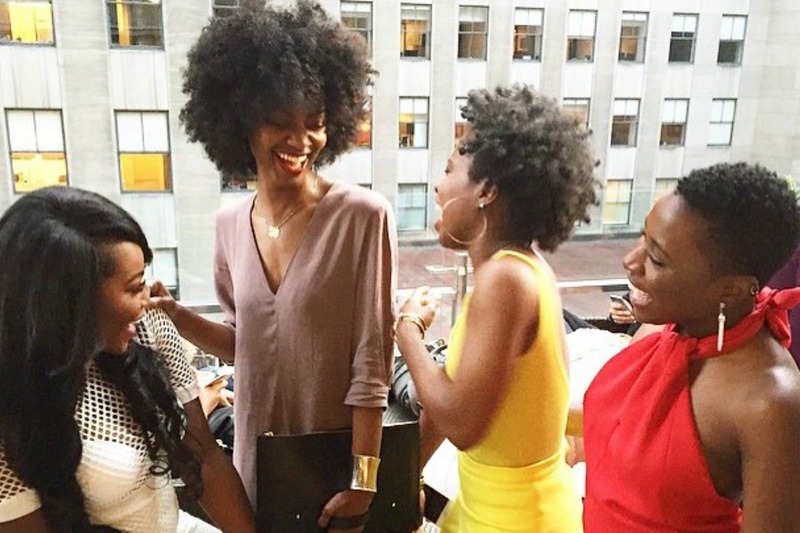 What advice would you give black women who are in coloring their hair but are afraid of what others will think? Marie: I always tell people to try it. You only live once. Anyone can try it, it's about how much, placement and the upkeep of your hair. Cheeno: I think I would tell them to embrace themselves and their natural beauty. Believe that you are giving the color total justice! If you like it, that's all that matters. If I would have went back to black after every negative comment then I wouldn't have been recognized as much as I am today. I have no regrets and I am so grateful I made the change with confidence. Everybody knows how difficult the process of wig buying is. People had to struggle a lot to find the right hair wig. But wigs toronto make it so easy to get wigs online from Canada.